. . . for visiting our website while we are building. This site is in development. Search function and commerce haven't yet been launched. Ordering, shipping, and payment policies as well as search and browse functions will all be found in designated fields or on dedicated pages, in due course. Membership is by invitation at this stage of building. You are welcome to browse and watch progress and you may find updates, which will be posted on our news page. Thanks again. WE DO NOT AND WILL NOT EVER COLLECT ANY PERSONALLY IDENTIFIABLE INFORMATION THAT ISN'T VOLUNTARILY PROVIDED IN THE INTEREST OF THE HIGH STANDARD OF CUSTOMER SERVICE TO WHICH WE AIM, AND FOR WHICH WE STRIVE. PERIOD. WE HAVE NO IDEA WHO SENDS QUERIES: NOT BY NAME, NOT BY IP ADDRESS, AND NOT BY COOKIES. We will only collect personally identifying information that users voluntarily provide to us in registering for services, participating in surveys, and entering contests. If you consent at the time you provide us with your information, we may also use that personal information editorially to improve and customize our content or we may employ volunteered personal information for marketing and promotional purposes (please see "Submissions" below). Big Deal Book Store, Inc. will limit internal access of user information solely to employees responsible for conducting business with our customers. Please read and review these Legal Terms and Conditions of Use(hereafter, "Terms and Conditions") carefully before using or accessing the main Big Deal Book Store Website and any affiliated Websites. 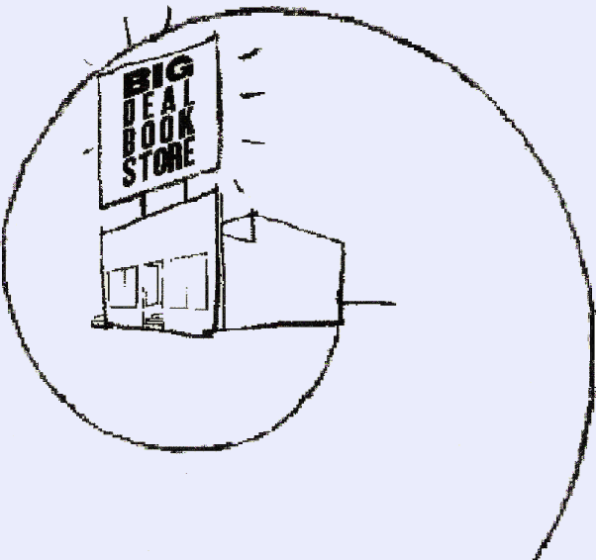 Big Deal Books Website is operated by Big Deal Book Store, Inc. a privately owned company. 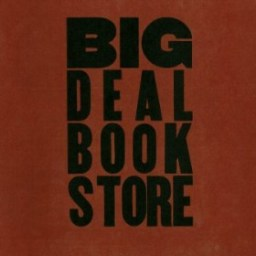 The mailing address for Big Deal Book Store, formerly of 824 East Johnson Street, Madison, WI 53703, is to be announced. By accessing and locating your browser at this Website, you accept without limitation the following Terms and Conditions and acknowledge that any other agreement between you and Big Deal Book Store Inc. concerning your use of this site is superseded by these Terms and Conditions. Material contained on this Website are protected by Copyright held by Big Deal Book Store Inc. unless otherwise noted and you may not use this material except as provided in these terms and conditions without the permission of Big Deal Book Store Inc. Your use and browsing of this Website is at your own risk. 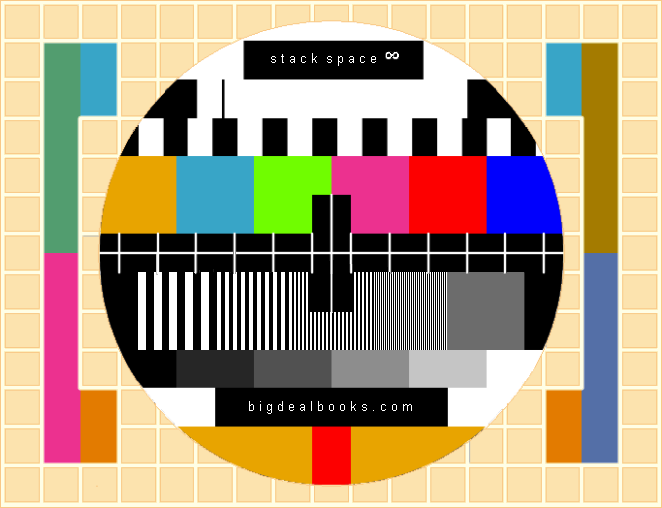 Neither Big Deal Book Store Inc. or any other party involved in creating, producing, or delivering the Website is liable for any direct, indirect, inconsequential, consequential loss, special, punitive, or other damages whatsoever arising out of your access to and use of this site even if Big Deal Book Store Inc. has been advised of the possibility of such damages. This paragraph does not exclude liability which cannot be excluded pursuant to the provisions of all relevant Federal Trade Commission regulations or any other implied warranties and conditions which cannot be excluded by operation of law. The trade marks, logos, and service marks ("Trade Marks") displayed on this Website are trade marks of Big Deal Book Store Inc. Nothing contained in this Website should be construed as granting, by implication, estoppel, or otherwise any license or right to use the Trade Marks displayed on this Website without the prior written permission of Big Deal Book Store Inc.
Big Deal Book Store Inc. has made initial reviews to links on this website to ensure nontoxicity, but not for the accuracy of all of the content at these links. Big Deal Book Store Inc. is not responsible for the contents of any other Websites linked to this site. Big Deal Book Store Inc. is simply providing these links to you as a convenience and does not directly or indirectly warrant the accuracy of any information obtained from any other Website. These Terms and Conditions are subject to, governed by, and interpreted pursuant to the laws of the United States of America, and you agree, should any dispute arise in relation to this Website and Big Deal Book Store Inc., to submit to the jurisdiction of the U.S. Courts. Should any provisions of these Terms and Conditions be found to be unlawful, void, or for any other reason unenforceable then those provisions shall be severed from the remaining Terms and Conditions and shall not affect the validity and enforceability of the remaining provisions. These Terms and Conditions may change. Big Deal Book Store reserves the right to update or modify these Terms and Conditions at any time without prior notice. Your use of this Website following any such change constitutes your agreement to follow and be bound by the Terms and Conditions as changed. For this reason, we encourage you to review these Terms and Conditions whenever you use this Website. If you are dissatisfied with this Website, or any content on this Website, or with these Terms and Conditions, your sole and exclusive remedy is to discontinue using this Website. Please leave this Website and do not use or access this Website in the future if you do not agree to the Terms and Conditions of use set forth above. 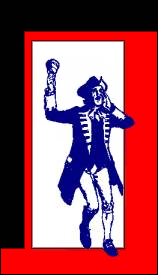 This Website and all works comprised in it are copyright and no part of it may in any form or by any means (including without limitation, electronic, mechanical, micro copying, photocopying, recording, scanning, or otherwise) be modified, reproduced, stored in a retrieval system, published, broad-cast, distributed, or transmitted without prior written permission of Big Deal Book Store Inc. All rights are reserved and no express or implied license to use any part of these works is granted to any person without the express prior written consent of Big Deal Book Store Inc. Any implied license to use any part of these works is here expressly negated, denied, and prohibited. We are OPEN, and we would like you to ASK. "Freedom of the press is limited to those who own one" -- A.J. Liebling.